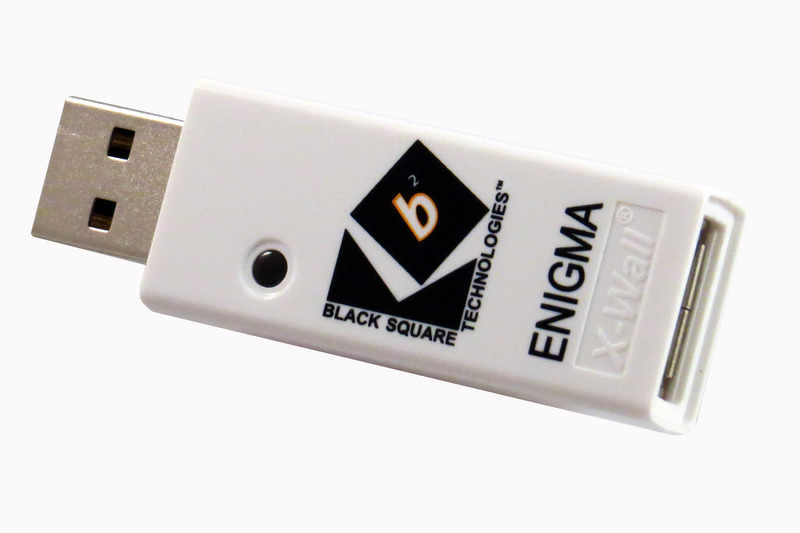 BlackSquare Technologies designs and builds hardware encryption, key managed data security products that we call Enigma. Enigma has been designed to be simple and easy to use. Note from the illustration that Enigma accepts any USB storage device thru its female connector. 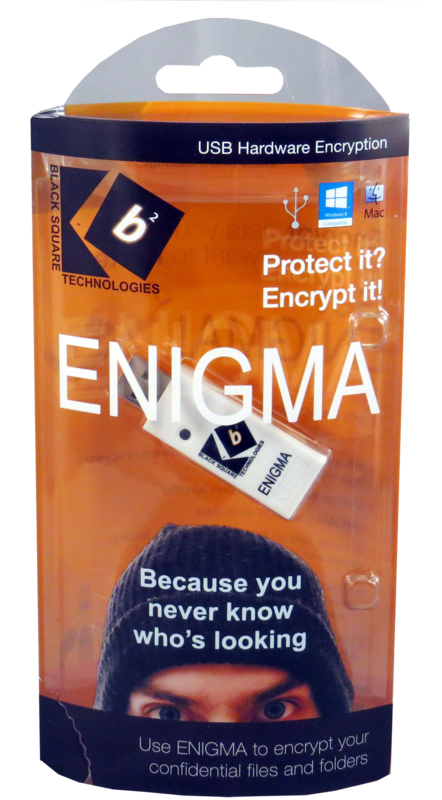 Enigma does not store data, and is transparent to your WIN and MAC operating systems. All encrypt and decrypt operations are managed internally in Enigma, and cannot be attacked via Brute Force Attack (BFA) or Man in the Middle (MITM) attacks. Enigma may be used on multiple WIN and MAC machines; the only requirement is access to the USB port. LOOK! 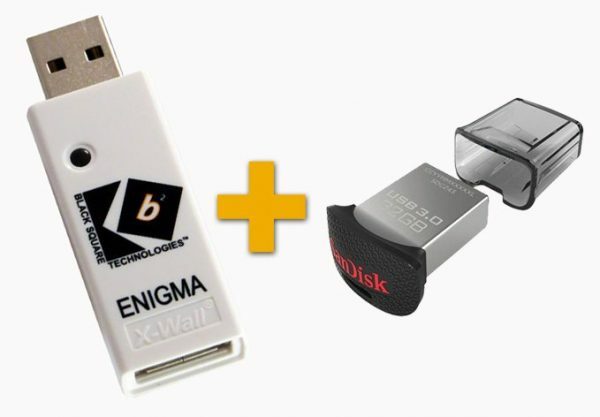 We’re including a brand new SanDisk Ultra Fit 32GB thumb drive, so you have everything you’ll need to start using Enigma once it’s on your desk. BlackSquare is honored to be included on the US Federal GSA schedule, and carries FIPS certifications. We guarantee each and every Enigma for 1 year. For any questions, we offer both FAQs and Videos on our site. If you’re are not a data breach victim, you’re not paying attention.